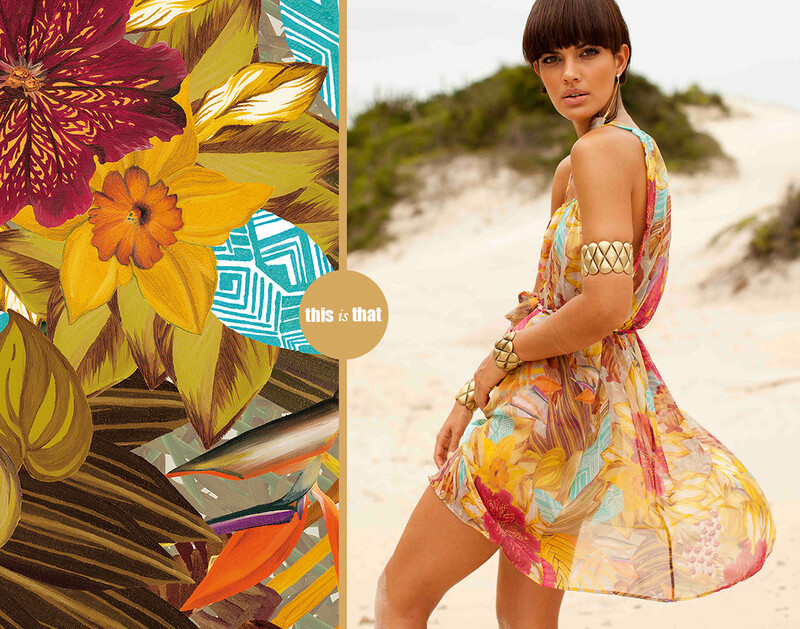 To Lua Morena summer 2011 collection was against the Belo Monte Project and pro-Xingu Culture. Inspired by this cause we created 17 prints among 26 variant color designs. This collection up the Digital Print process to the next level to us, with prints made by oil painting, pencil sketches, and Photoshop Photo Effects. Here I present some prints developed by this techniques. Digital Printing and Cylinder Printing process.